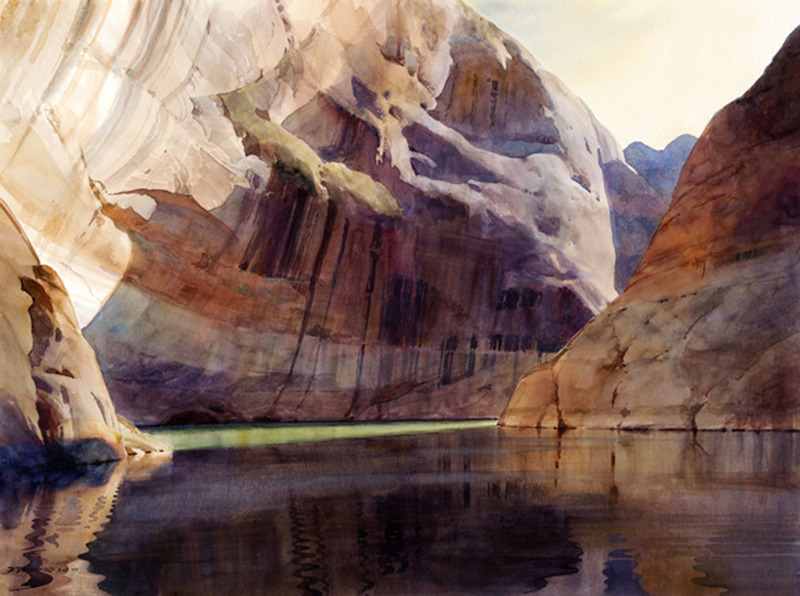 Widely recognized for his realistic watercolors of Lake Powell and western landscapes, watercolorist David Drummond concentrates on attention to detail and mood. His expressive realist figurative work and still life paintings give testimony to talent, as do dozens of honors and critical acclaim in the national fine arts media. Drummond, a career physicist with the U.S. Air Force, resigned in 1986 to paint full time. 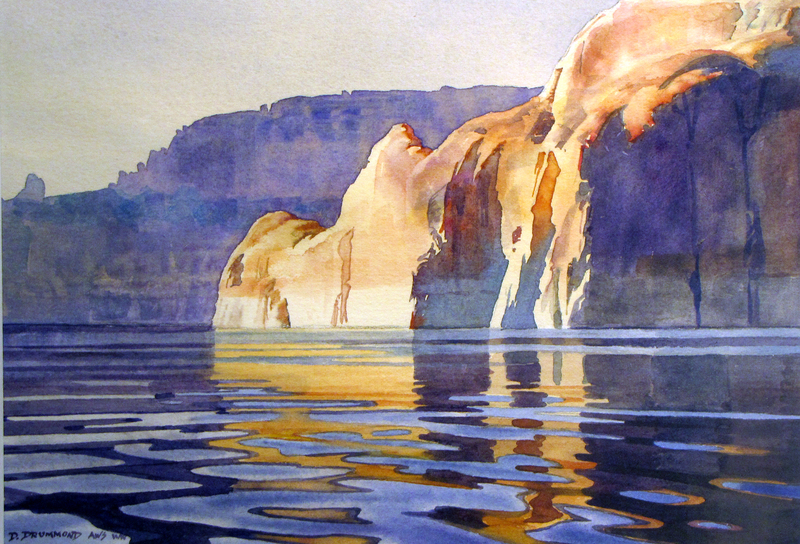 He returned again and again to Lake Powell and created a unique process to capture the subtle variations of light and shadow on water, which he teaches today. Over the years he has accumulated numerous honors and awards, and was commissioned to paint the 2007 White House Christmas card. He won “Best of Show” in 2014 at the Miniature Painters, Sculptors and Gravers Society Annual Exhibition in Washington DC. With “The Rose”, his miniatures were exhibited in Russia in 2012 as part of the World Miniature Exhibition. Drummond’s work is represented in public and private collections throughout the United States and Europe, including the White House Collection, National Park Foundation, and the St. George, Utah Art Museum. His painting “Canyon Ripples” is the Mini Grand Prize in the Paint the Parks show, and sixteen of his Lake Powell paintings were included in the National Arts for the Parks top 100 show. Drummond’s Arts For the Parks pieces have been made into posters, calendars and postcards, and featured in a special “Arts from the Parks” book. He earned his American Watercolor Society (AWS) membership in 1986 and Watercolor West membership in 1987. He resides in Albuquerque NM and Page, AZ. 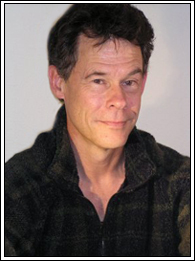 Read David’s complete Biography here.